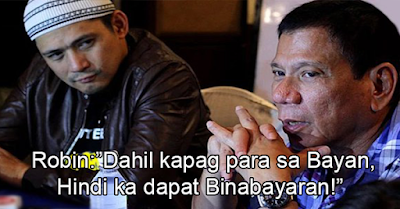 Must Watch: Robin Padilla Supports Mayor Rodrigo Duterte? Along with the heating campaign period, certain actors and actresses are making their own scenes especially in social media. Several personalities show their support by editing their pictures, and others publish a video. Netizens have different reactions towards their idols, which make them more controversial. 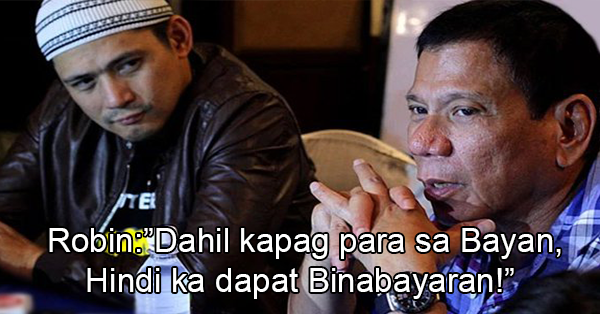 One of the most assertive in endorsing a candidate is Robin Padilla. Although he was known as the "Bad Boy" of the Philippine Movies, people still believe him because he was able to establish his credibility. It is clearly manifesting in a video showing his endorsement to Mayor Rodrigo Duterte, who's aiming for the presidential seat. The fact that he was not paid to do this video is completely admirable. Dignity and principle must not be equated with money. The whole nation is at stake and we should select a leader who has the political will to change the system and who has the heart to serve. Moreover, we need someone who fears God and who has moral integrity above all.